The midsize car makes a great all-purpose vehicle. Efficient enough for daily driving in Irving, Grand Prairie, Grapevine, and Dallas, spacious enough for road trips out of town, and filled with the latest and greatest technology, it’s no wonder so many local shoppers turn to the segment. If you’re considering midsize sedans, the 2018 VW Passat may be on your radar already. We at Metro VW have put together this 2018 Volkswagen Passat 2.0T SE review to give you a close look at one of the VW Passat’s most popular trims. Enjoy—and contact us to learn more! The 2018 VW Passat 2.0T SE adds a range of technology features you won’t find in the base S trim. You won’t have to waste time in your morning routine with the SE’s keyless access and push-button start. If you have your key fob on you, sliding in and starting the car will be quick and easy. Want to let some fresh air and natural light into the cabin? The VW Passat 2.0T SE also adds a standard power-tilting and sliding sunroof. Tilt it up to get some circulation and let the hot air escape or slide it open for full access to sunny skies and the whoosh of the wind. The cabin seems larger and airier when the sunroof is open. Under the hood of the VW Passat 2.0T SE, you’ll find a turbocharged 2.0L TSI I-4, good for a sprightly 174 horsepower and 184 lb-ft of torque. It’s a new engine for 2018, and that turbocharger will invigorate your ride around town or out on the freeway. The 2.0L turbo isn’t just fast and fun: It also sips fuel, achieving an EPA-estimated 25 city and 36 highway MPG.1 With numbers like that, you’ll find yourself making fewer and fewer trips to the gas station to fuel up. With a firm suspension, made up of struts in the front and a multilink setup in the rear, as well as precise steering and responsive handling, the VW Passat 2.0T SE has a somewhat sporty feel to it. But ultimately, test drivers have lauded it for its capacity as a great cruising vehicle, one that takes road imperfections in stride and drives easily wherever you need it to. If you like the 2018 VW Passat 2.0T SE, you’ll love the SE with Technology trim. As its name implies, this trim takes everything great about the SE and adds a batch of convenient technology to the mix. You’ll get daytime running lights, an 8-speaker audio system, and a hands-free power trunk gate for easy loading when your hands are full. Remote Start may be one of the handiest features of them all. With it, you can start your car from afar, so it’s ready to go when you are. On a sweltering summer day in Texas, let the dual-zone air conditioning start cooling the car before you get inside. 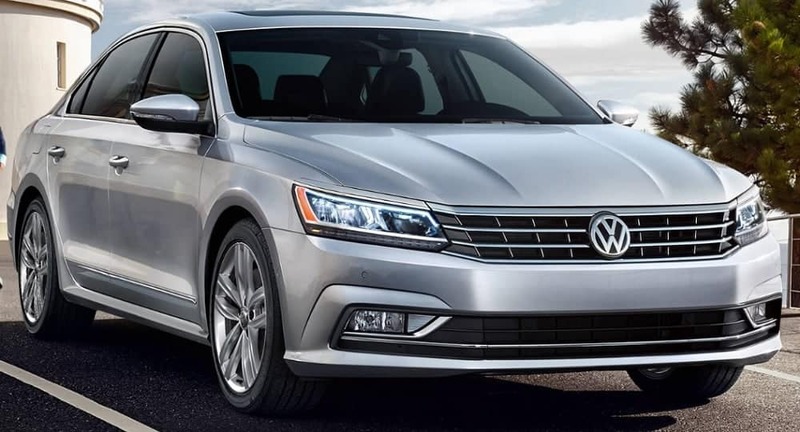 As our 2018 Volkswagen Passat 2.0T SE review shows, you can enjoy some of the best the VW Passat offers at this trim level. 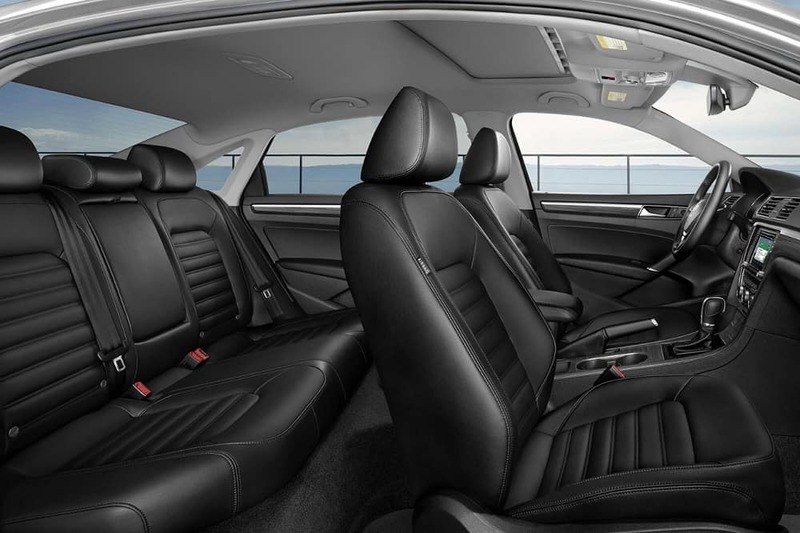 If you’re ready to ride this midsize car, schedule a test drive at Metro VW. Our team of auto experts will help you explore the most exciting features of the VW Passat 2.0T SE!